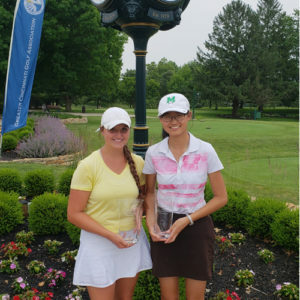 Julanna Zhang knew from the first tee that Isabel York, her opponent in the match play finals of the 103rd Metropolitan Women’s Amateur Championship, was motivated. 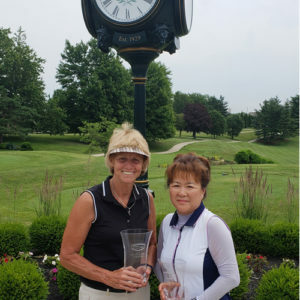 York, a Saint Ursula graduate who plays at Tennessee Tech, took one-hole leads four times over the first 14 holes of their June 8 match at Summit Hills Country Club in Crestview Hills, Ky., but Zhang dropped in a 30-40-foot downhill putt on the par-3 17th hole to take her first lead. 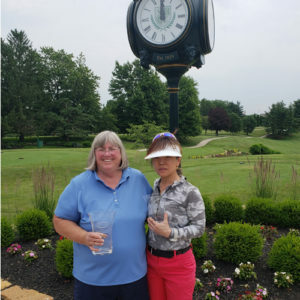 She clinched Greater Cincinnati’s most prestigious championship and, by her own admission, the biggest win of her young career by breaking even on the 18th hole. “I’ve made longer ones, but that was probably the hardest putt I’ve made in my entire life,” said Zhang, who said she started playing golf in the seventh grade. Zhang’s championship capped an impressive week of golf at Summit Hills that was blessed by cooperative weather. 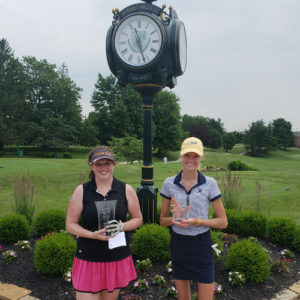 Kelsey Wessels, who works at and plays out of Neumann Golf Course, decisively captured the First Flight championship with a 4-and-3 finals win over Alexandra Gomez. Elizabeth Chamberlin won the Second Flight title over Macy Luebbers. Sharon Voelker captured the Joan Comisar Flight over Unae Mueller, while Leslie Moreton edged Young Romero to win the Judy Diem Hayes Flight. 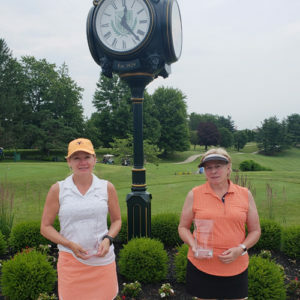 Diane Herndon won the Jane DeGroff Flight with a 2-up win over Marilyn Miller. Defending-champion Ali Green opened the week by earning the match-play top seed with a 2-over-par 72, good enough to earn medalist honors in the June 5 stroke-play qualifier by three strokes over Zhang. Emily Stipanovich, the 2014 Met champion, finished third with a 77, one stroke ahead of 2017 runnerup Megan Creager and York. Green seemed to be well on her way to becoming the first woman to win back-to-back Met championships since Kerry Zebeck in 1995 and 1996 after reaching the semifinals with a 6-and-5 win over K.C. Bell and 5-and-4 win over Katie Guy, but York derailed Green’s rush with a 2-and-1 win in the semifinals to set up the finals match against Zhang, whose path to finals was more tricky. She needed 19 holes to edge Janisa Bondoc in the quarterfinals and 20 holes to squeeze past Stipanovich into the finals. By then, Zhang was battle-tested, which came in handy as she and York approached the 160-yard 17th hole. Zhang still had to even the par-4 18 to clinch the title. “It’s kind of a tight fairway,” she said from New Haven, Conn., traveling with her family on visits to Ivy League universities. “You have to hit it at a certain angle and distance. I think the adrenaline from 17 helped me hit it. I didn’t hit it entirely straight. I hit it toward the bunker, but I think the adrenaline helped me hit it over the bunker. Isabel went left into the trees and had to punch out on to the fairway. She had to hit three shots to get on to the green. Her third shot was good. She had a 4-foot putt for par. Once I got over the bunker, I had a clear shot toward the green. I just hit it normally and had two putts for par.” That was all she needed.